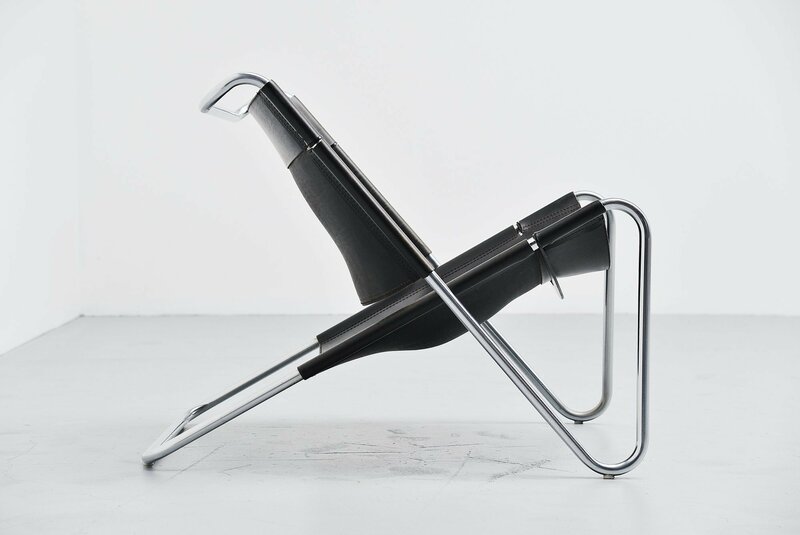 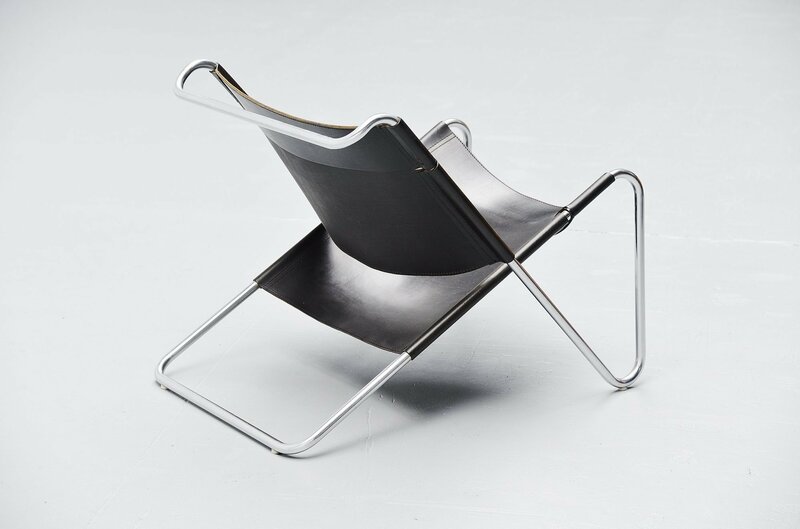 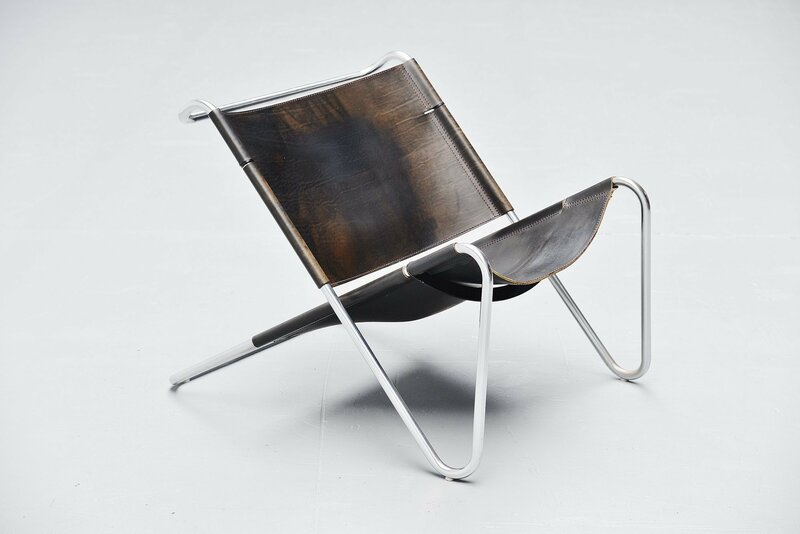 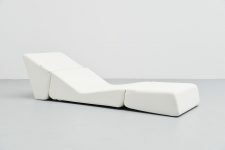 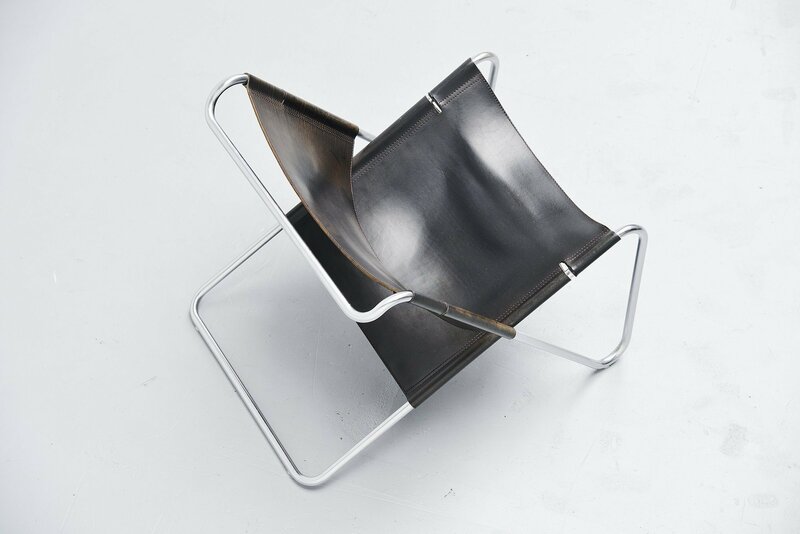 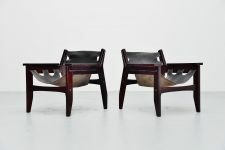 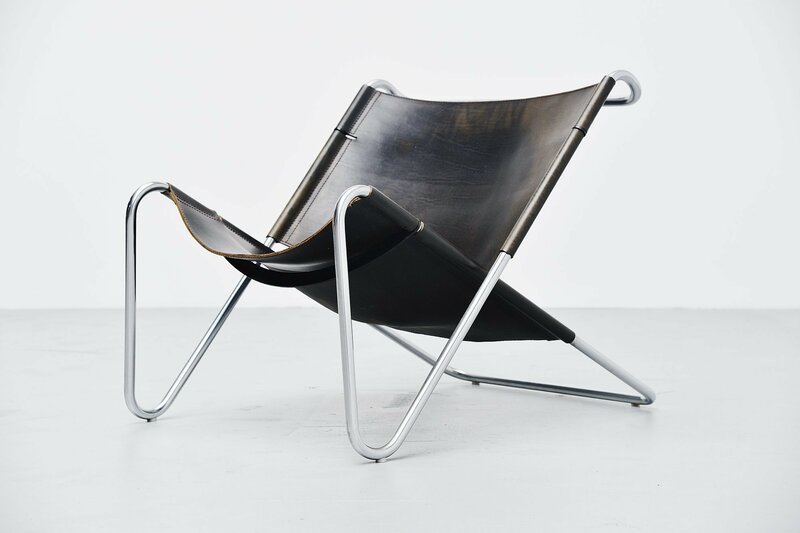 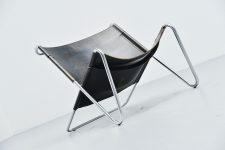 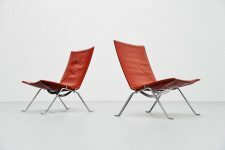 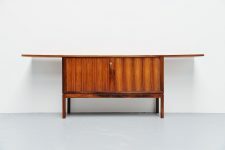 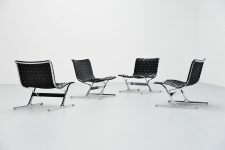 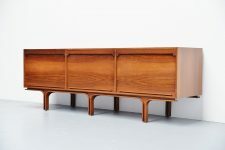 Ultra rare low lounge chair designed by Chan Kwok Hoi and manufactured by ‘t Spectrum Holland 1973. 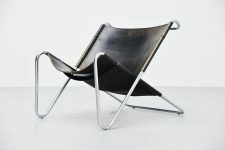 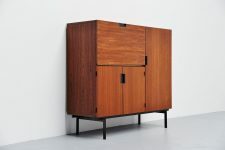 This chair was in the Spectrum collection from 1973-1974. 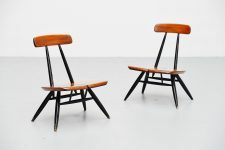 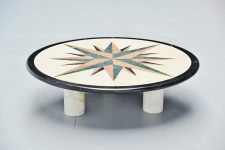 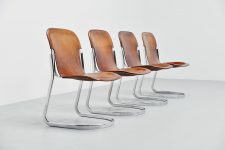 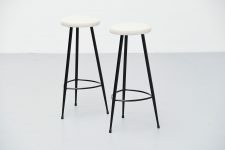 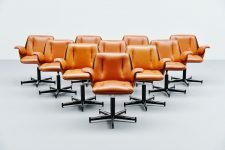 The exact production numbers are unknown but not more than 100 chairs were produced. 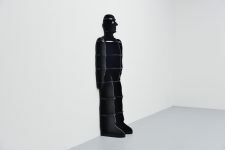 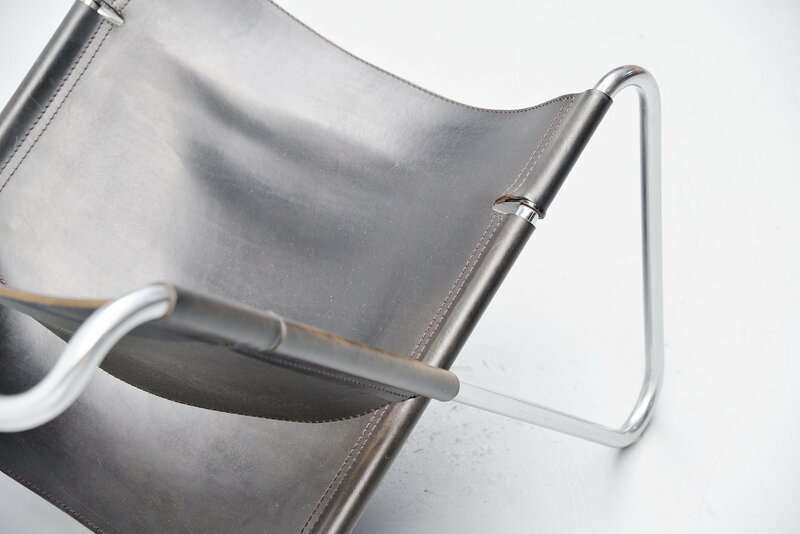 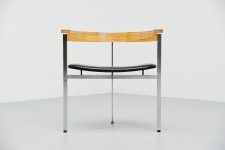 The chair has a brushed steel tubular metal frame and thick black leather seat. 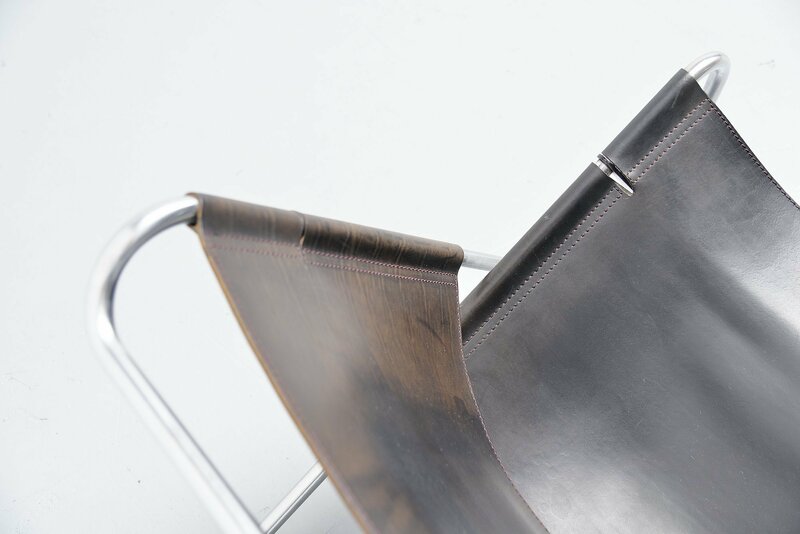 The leather of this chair is in amazing condition, the black leather has a fantastic patina but there are not cracks or tears, leather is still very strong and firm. Very hard to find chair and its not only beautiful, its comfortable too!